WOW! SAVE AN EXTRA 15% OFF!! PLEASE NOTE: Sculptures require special packaging/handling and DO NOT QUALIFY for FREE shipping offer. Please choose USPS Priority or UPS ship method at checkout. 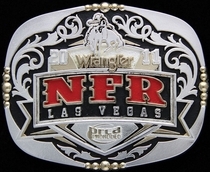 Second Jump Out' bronc and rider sculpture by Montana Silversmiths. Click the sculpture image to enlarge it. 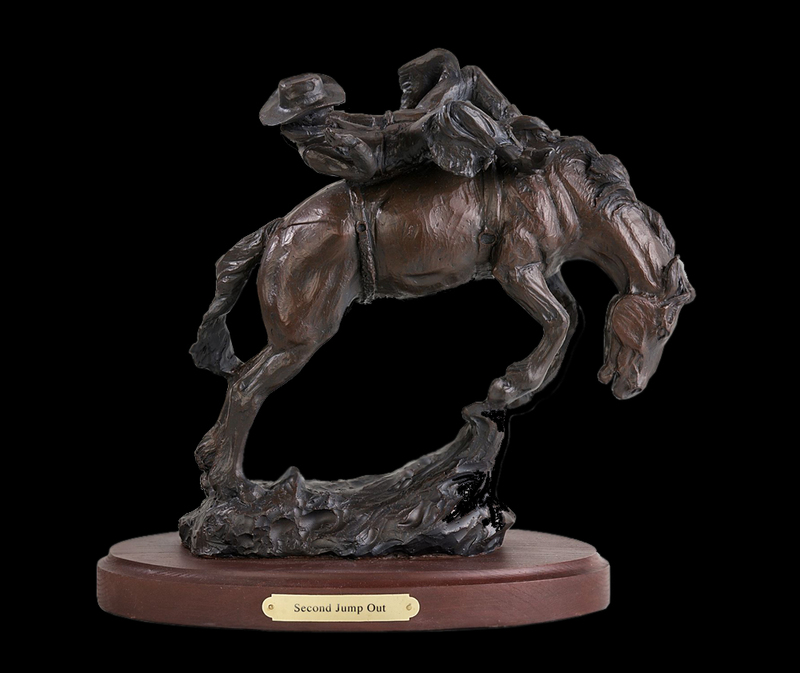 Second Jump Out sculpture is created with Montana Silversmiths unique cold cast process successfully reproduces a rich-looking bronze sculpture, vibrantly capturing realism in the western life. Each piece is precisely cast and hand painted, bringing life-like touches to this fine creation. 9.5" high x 10" wide Resin.